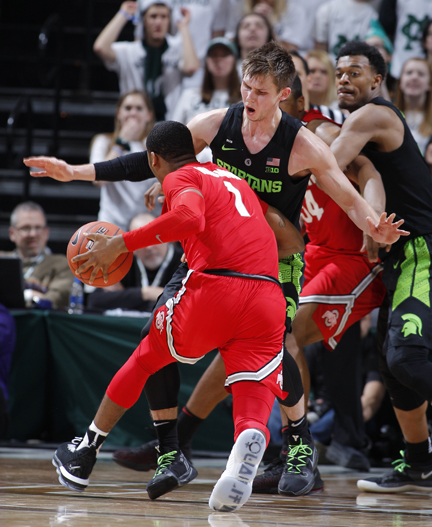 EAST LANSING — Michigan State shut down Ohio State in the second half despite an injury to Nick Ward. Michigan State hopes Ward will be able to return before the end of the season. On Sunday, the Spartans play the first of two big games against rival Michigan. “Defense not only travels — sometimes it works at home too,” Izzo said. It was tied at 42 when Michigan State’s Kyle Ahrens sank a 3-pointer that started a 10-0 run. Kaleb Wesson scored 12 points for Ohio State.